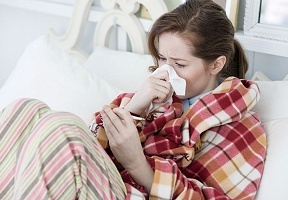 Winter weather has arrived, and so has the annual flu season. While flu – or influenza – is most serious for older Americans and people with certain chronic conditions, influenza can affect people of all ages and lead to hospitalizations, significant health complications and even death. As many as 35 million flu cases are expected this year, starting in October and continuing into May, according to the Centers for Disease Control and Prevention (CDC). The peak months are December through February. Most people have likely had the flu at some point – with symptoms such as a constant cough, sore throat, a runny or stuffy nose, body aches, headaches and fatigue – yet many myths and misperceptions remain. Here a few myths and facts that can help you and your loved ones reduce the risk of catching the flu. Visit the CDC website at cdc.gov/flu to search for a nearby care provider based on your zip code.